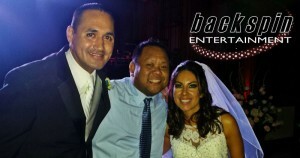 Backspin Entertainment is AMAZING! We've used their service for several holiday events and we wouldn't have it any other way! Sherwin is very professional, accommodating, and extremely knowledgeable. Always a pleasure working with him. His service is impeccable!!! From music, to lighting, and flow, he knows what's up! His creativity and expertise kept it "LIVE" all night long--he "felt" the crowd and knew exactly what to do. During the planning, he was always available by phone & email and really listened to our requests. He delivers -- punctually, expertly and over-the-top! Some foreign songs were requested (that I have never heard of) and he pulled them out of the hat!! Any decade, country, genre...he's got 'em! Everyone always asks about our DJ. 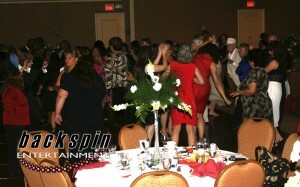 We highly recommend Backspin Entertainment for your next event. –Angela Nakamoto | Repeat Client, Los Angeles CA. A great party and a great DJ were important for my husband. DJ Sherwin did not disappoint one bit. We had so many guests sharing that they had a lot of fun at our wedding reception and the music made that happen. He has such an amazing variety of music; I was amazed (and surprised) he had some old school Spanish in his collection. We we're both very pleased and grateful for hiring DJ Sherwin. He won't disappoint. He's creative, easy to work with, responsible and reliant. He cares the crowd is having a good time and is attentive to the needs and desires of the client. –Mariana Zamboni Sandoval | Wedding Client, Culver City CA. 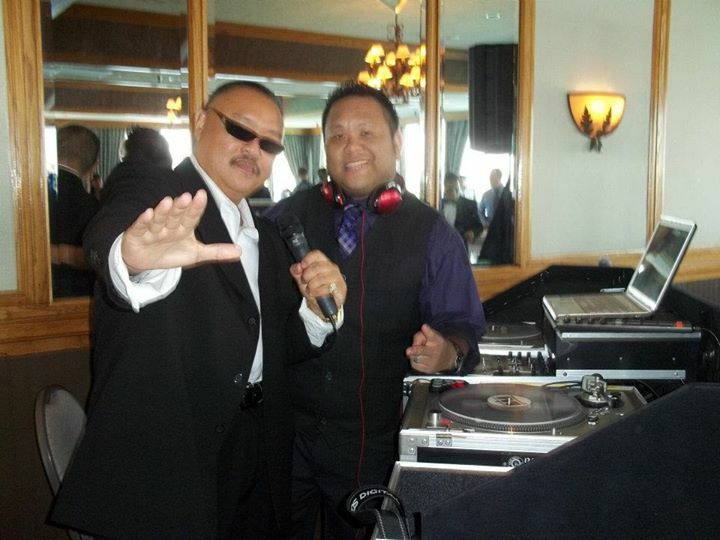 If you are looking for a DJ, there is no one better in town than DJ Sherwin Ruste of Backspin Entertainment! Sherwin, I've been to many parties and have seen many DJ's and you are truly the best! No one else compares. –Dustin and Kathryn Peckman | Wedding Client, Long Beach CA. Sherwin, Thanks for a great job! We had several compliments on the music--a great diversity for everyone to enjoy. 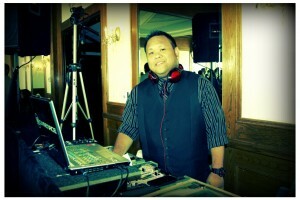 Sherwin, Thanks for making our wedding reception a huge success. Everybody was dancing because the music was awesome. You came through as expected, very professional and very entertaining...Thanks again for being part of the wedding.